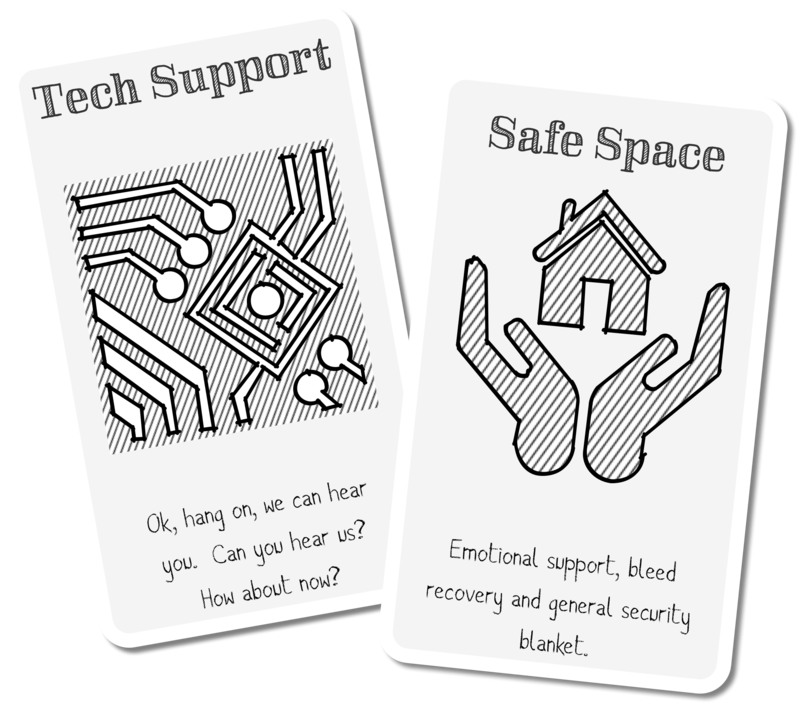 do you think online gaming can decentralize the host and facilitator roles? or allow the game itself to bear some of the burden to provide them? I don’t know if my group is an anomaly, but the GM only has authority inside the game. For anything outside of that he has the same vote as anybody else. We do things like changing number of players, approving a new player, deciding our regular play night, etc. by consensus. Anyone can veto a change. We now play at the offered house that’s most central. We started with the out-of-game group decisions on the GM as you described, but we migrated towards under my (the GM at the time) suggestion, and it’s stayed through more campaigns. But when it comes down to it, what’s right for each group will vary by table more than anything else. 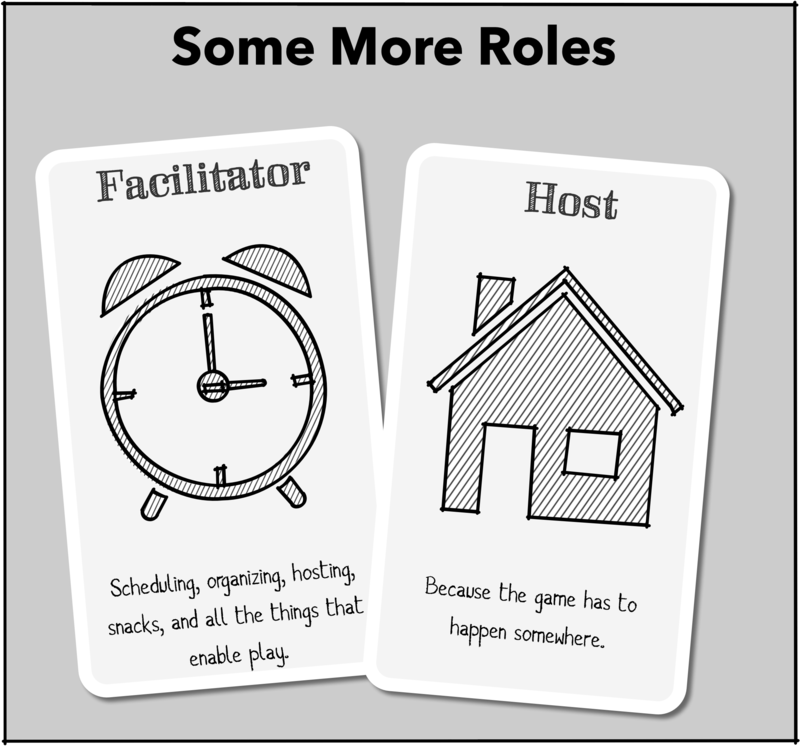 I think the best a rules system could do in terms of the Facilitator role would be to acknowledge it and suggest a few working design patterns on how to do it. In my personal experience, there have been two instances where the facilitator role was not held by the GM. In one case a group I had previously run started a new campaign, but one of the players DMed and I joined as a player. Somehow, I ended up still managing the scheduling, etc., for a while. I then passed all of that off to the new DM because planning is really the part I am least keen on. I presume it happened because people were used to me doing that. Therefore, I think the natural association isn’t “the DM does it” but “the person who got the group together does it”. In a different case, I actively delegated the job of the facilitator to one of the players. That person did not manage to step up to these responsibilities and we didn’t manage to schedule a session for months. The (maybe obvious) take away here is: Some people are not good at organising stuff. If you pass off the facilitator role to someone else, make sure they have at least basic skills in doing so. I may be an anomaly here, in that my first exposure to gaming mostly ignored these roles. Gaming happened at a particular house on a particular night and time every week, but the actual GM “position” had more to do with which campaign we played, which had more to do with who actually showed up that night. We had a few different campaigns going at any one time and played that one that had all players present. The pattern the group had fallen into by the time I got there was that if we had a configuration of players show up we’d play whichever campaign included all of them, and didn’t have any missing players. If we didn’t have a campaign that matched the configuration, then we’d start a new one. Which did, admittedly, lead to some false start campaigns, but largely that wasn’t an issue for us. I kind of took that mindset with me when I tried to start campaigns later on, offering to host and defaulting to facilitator, in order to get a game going. Not to say that’s actually worked in my local gaming community, but that’s a different issue entirely.